Crowdfunding has opened us up to a host of wonderful, useful and downright strange products. Which category the Licki brush falls in to, I'll let you decide. 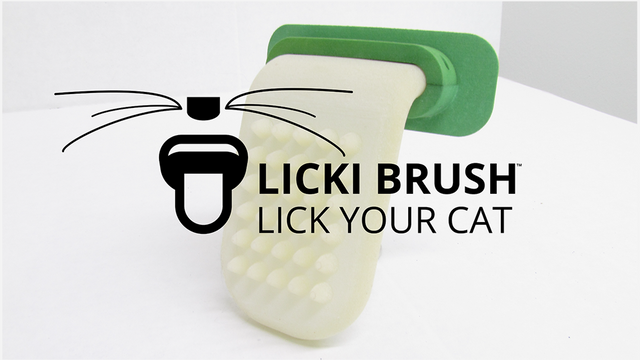 The team behind the Licki Brush have previously released a whole host of other cat related products and one has to wonder if this latest invention is serious, or if they just wanted the brand exposure. So far they have raised $14,355 of their $36,500 target, so who knows if we will see this product on shelves soon.